When we lasted encountered IWKC three years ago, their album Evil Bear Boris featured a playful set of neo-classical, art-rock, and progressive rock tracks. 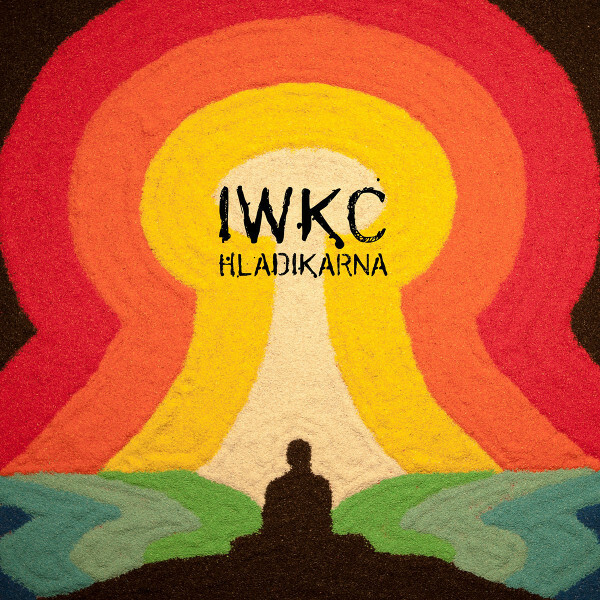 Now with Hladikarna IWKC presents eight progressive rock tracks of a slightly different nature. The album opens with “Kastenkampf,” a sludge rock instrumental similar to some of the other Russian bands I’ve recently discovered on the same label. But then IWKC blows you away with their second track, “Samadhi,” with its slow gothic beginning that builds to an instrumental neo-psych climax like Godspeed You! Black Emperor. Next is the trance-inducing “Emerald River” with its tabla, wordless female voices, synths, and bass with some references to Pink Floyd’s Dark Side of the Moon, while taking you on a journey across the steppes. The title track is a heavy hard rock number that segues into some very cool progressive rock and fuzzed metal guitar. Another highpoint on the album is “Five Big Chillums,” an eight-minute track featuring sax solos, mid-Eastern themes, beautifully savage guitar work, and multiple tempo shifts. Kind of like Jan Hammer meets heavy metal. The sixth track is “Youth,” an alternative progressive pop song with complex instrumentation and chanting. ”Land of Stupas” recalls the best of Popol Vuh with an ostinato of a four note strummed acoustic guitar sequence. And the album closes with “Opium des folkes” that goes in an entirely new direction. Church organ features prominently to provide a heavy gothic vibe along with guttural demonic voices. Haldikarna is an excellent album and well worth investigating.